Post Affiliate Pro is an affiliate tracking software designed to create an affiliate program and track every website action like clicks, conversions, sales, leads etc. and assign them to the right affiliates. It’s super easy to setup and use, with an intuitive UI. 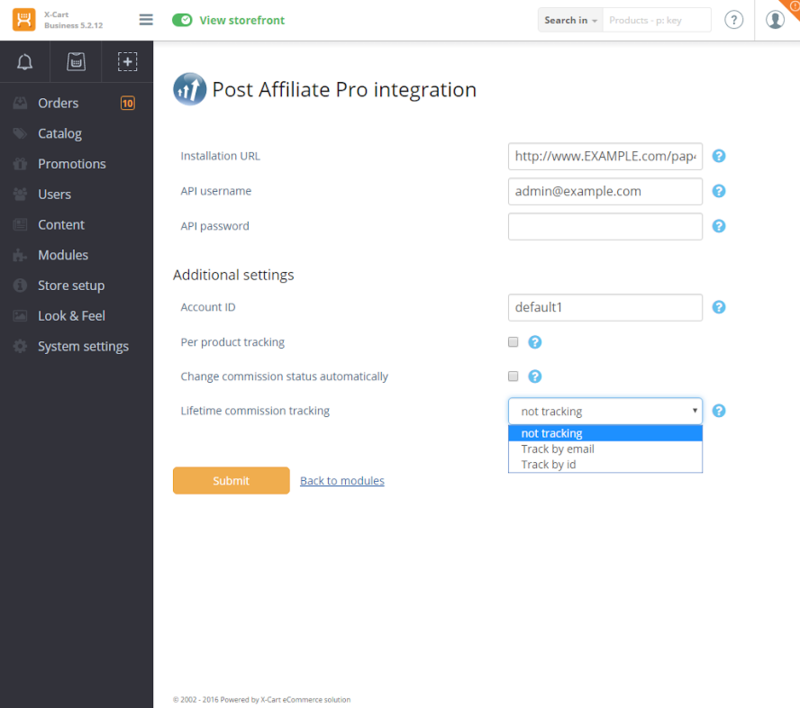 Post Affiliate Pro integrates seamlessly with X-Cart and you can have your affiliate program ready within minutes.